D&R Machinery is a distributor of high quality CNC machine tools and related products. We offer expert factory trained, full service, applications support and training on all the products we represent. D&R Machinery covers Arizona, Southern Nevada, and the Mexico/Arizona bordering Maquiladora facilities from our Gilbert, AZ office. 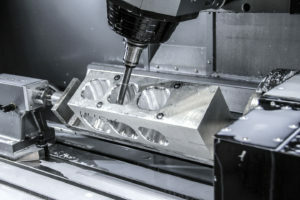 D&R Machinery has built a solid reputation as a respected CNC machinery distributor. We pride ourselves in keeping our customers happy. We promise to do the same for you! D&R Machinery has experience working with job shops, manufacturing firms, mold shops, aerospace, medical manufacturing and defense contractors, commercial component suppliers as well as manufacturers in the electronics industry. Like you, we believe in using the right tool for the right job. That means meeting or exceeding expectations while advancing the capabilities in your shop. All our sales start with service. You will receive a quick response, factory trained, and experienced support.